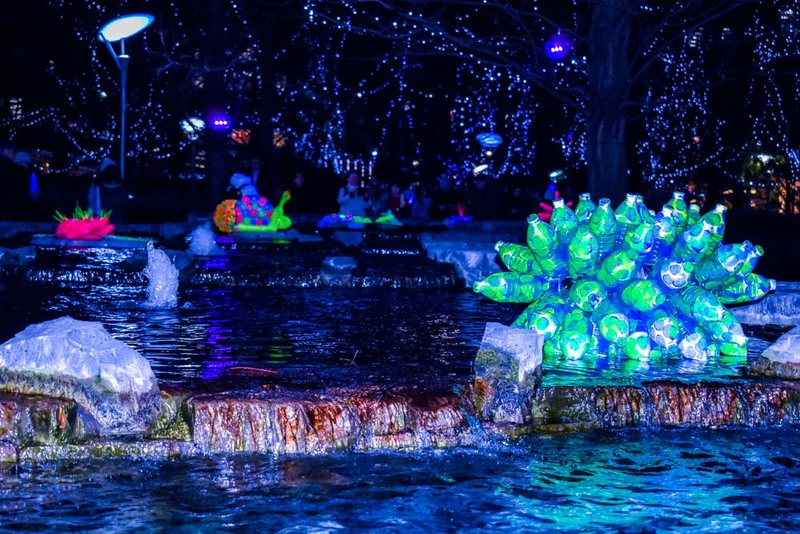 What better event to get you outdoors in the dark, cold winter nights in January, than the wonderful Winter Lights Festival 2019. 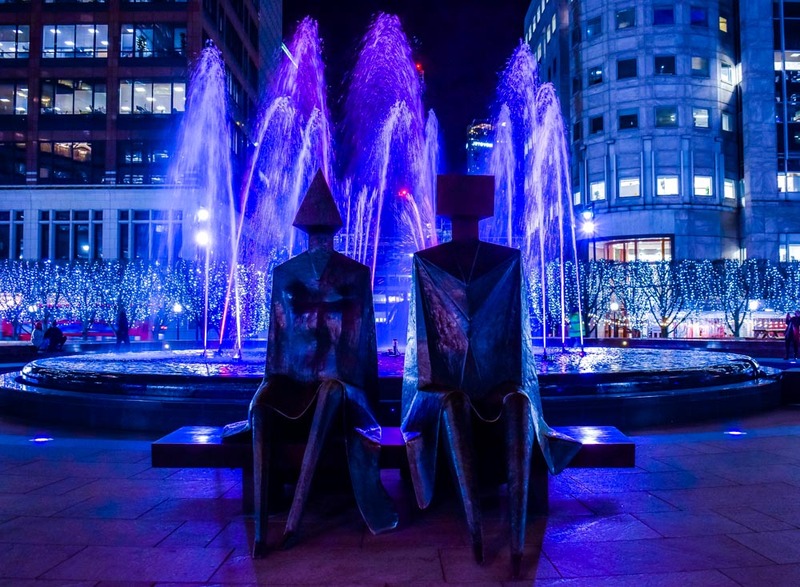 The festival is taking place at Canary Wharf, East London from 15 – 26 January, from 5.00-10.00 p.m. I caught the DLR train from Stratford Station and alighted at Canary Wharf. Canary Wharf, is an area with commercial buildings and plenty of open spaces, squares, docks and several large shopping centres. 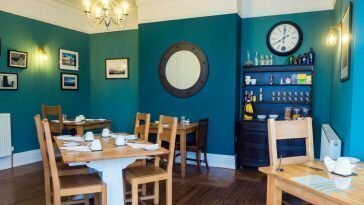 There is also a very nice selection of restaurants and cafes. 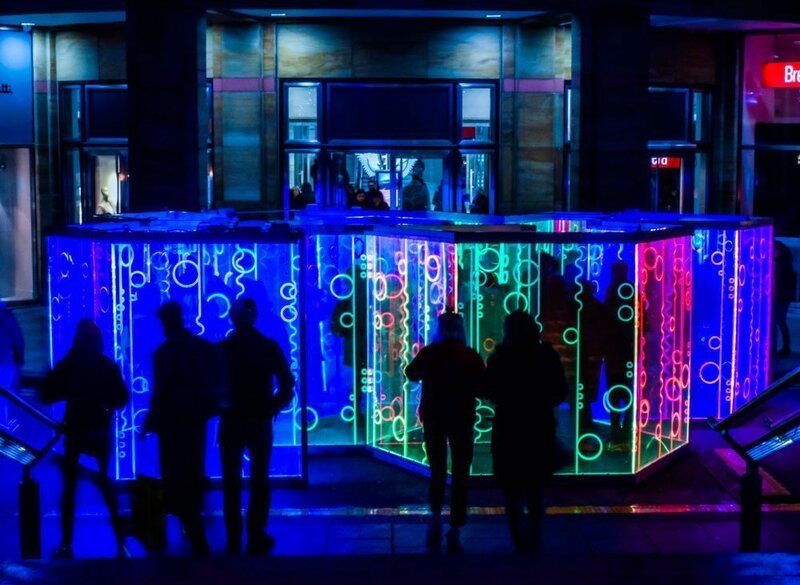 On arrival at the festival on the evening of Thursday 17th January I entered into Cabot Square and immediately was greeted with the ‘Heofon Light Maze’ light installation. There was plenty of pop-up vintage food trucks there and wooden tables with benches to sit and enjoy some of their delicious offerings. 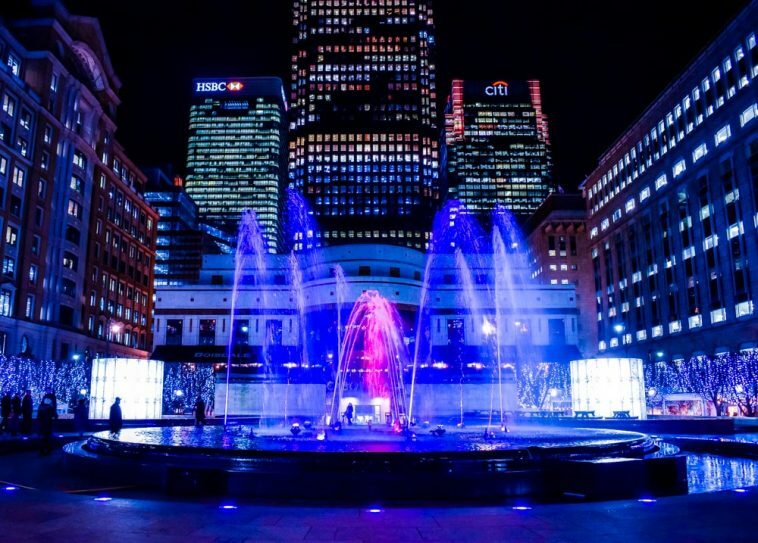 The lovely Cabot Square fountain was lit up by coloured lights with HSBC and Citi Bank skyscrapers in the background. Near the fountain a nice image of a couple of impressive large statues of figures sitting on a bench. With the coloured water from the fountain in the background. 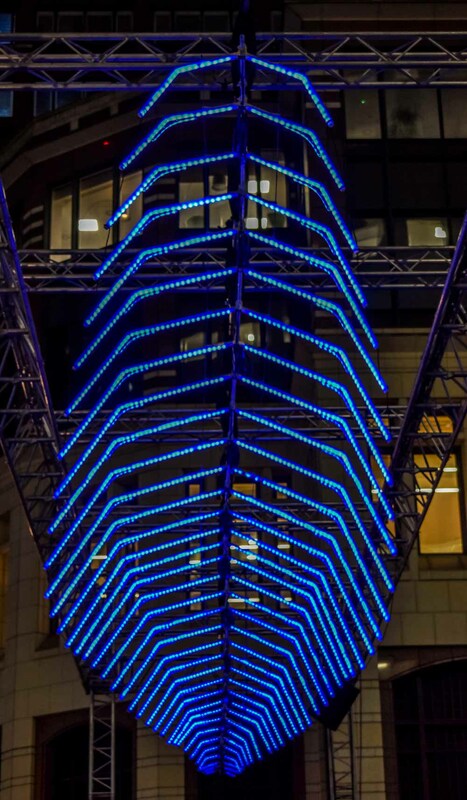 Next light installation, I came across, was ‘Whale Ghost’ at different angles you could look up at the skeleton shape of a whale illuminated by differing colour lights. 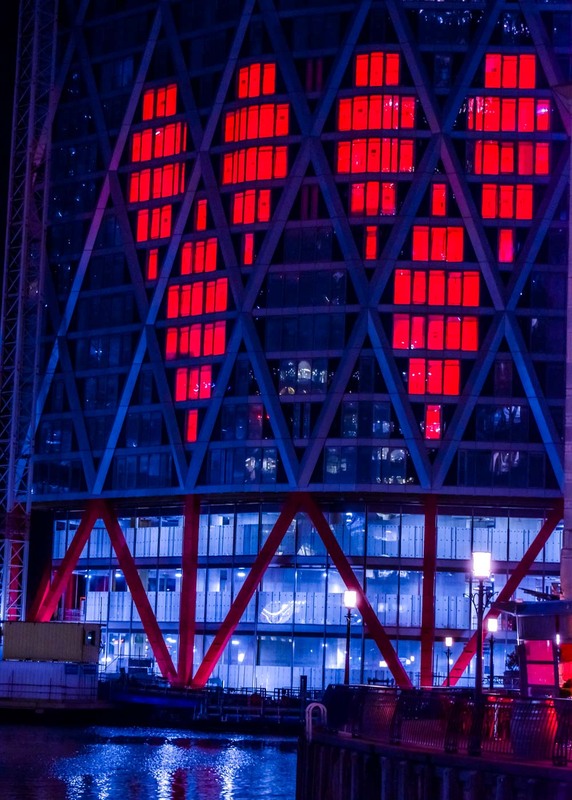 Also at the same location, Cubitt Steps at Canary Wharf, the light installation of ‘Two Hearts’ illuminated on lower level windows of a growing structure, a residential skyscraper. I was thanking my lucky stars I attended the festival on Thursday, before the weekend, especially when I reached ‘Bit.Fall’, a cascading wall of words illuminated by white light bulbs. I’m not going to attempt to explain how this works, I am just going to say it is extremely clever and awe-inspiring. The area of space for viewers to capture an image of this, viewing it straight on, wasn’t very large. Fortunately, I managed to capture a short live video of it. I can only imagine this would have been difficult to do over a busy weekend. 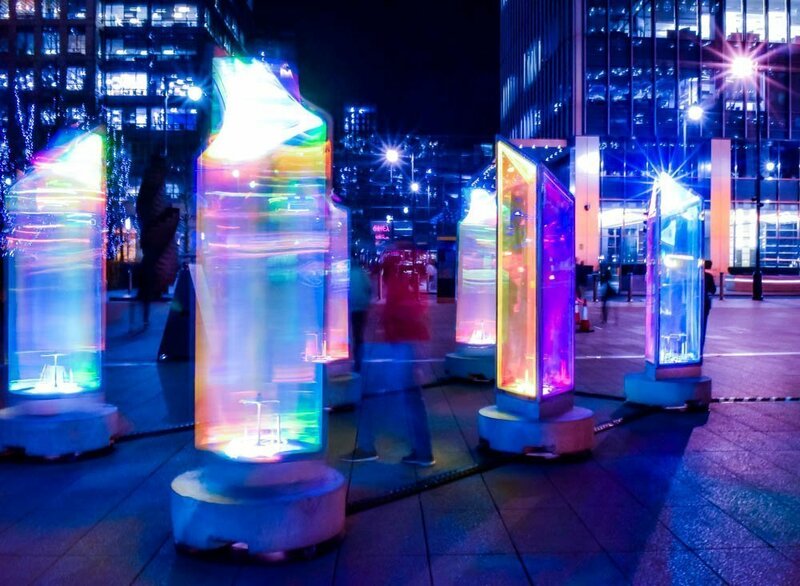 ‘Prismatica’ an interactive art installation of several giant prisms with their colourful reflections shining light all around the space. Everyone there really enjoyed twirling them around. They were just as pretty to see during movement and while they were standing still. While you are there enjoying the Lights Festival you don’t realise how much walking you are doing. I was in need of a little rest by the time I reached ‘Aura’. 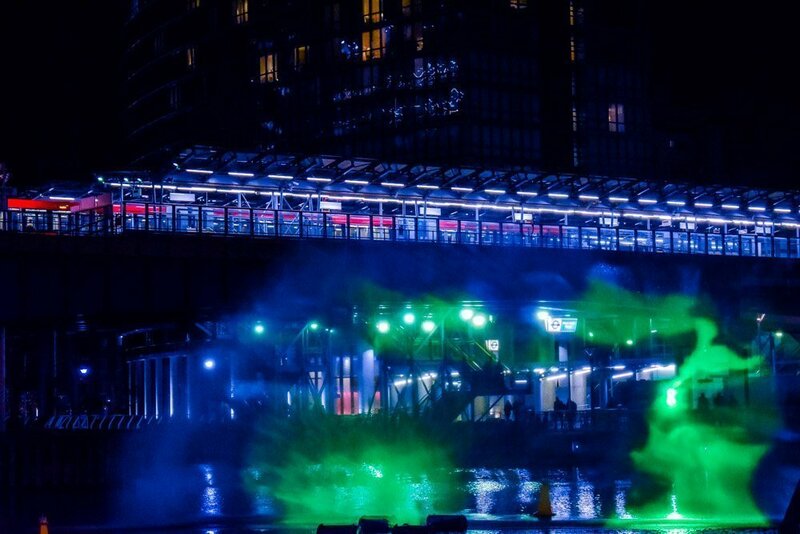 I couldn’t have timed my rest break better, ‘Aura’ combined art, technology and music on the water. Fascinating and wonderfully relaxing at the same time. Camera sensors capture a person’s form and feelings and mirror them in real time onto a giant, coloured, water spray on the North Dock. 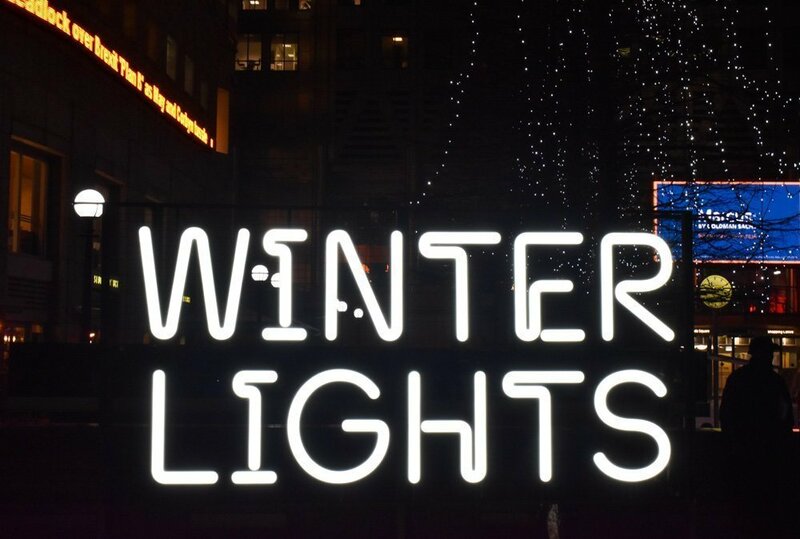 The month of January with long dark nights is the perfect month to showcase the festival. ‘Aura’ epitomised this, the installation formed an overall misty, haunting almost eerie atmosphere, utterly fascinating. I didn’t see all twenty-one installations, I missed four at Crossrail Park and more at other locations at the festival. The last four I saw were at Jubilee Park. I saw plastic coloured glowing images floating on a walled stream. I don’t know what it was called but it was a very clever use of discarded plastic bottles. 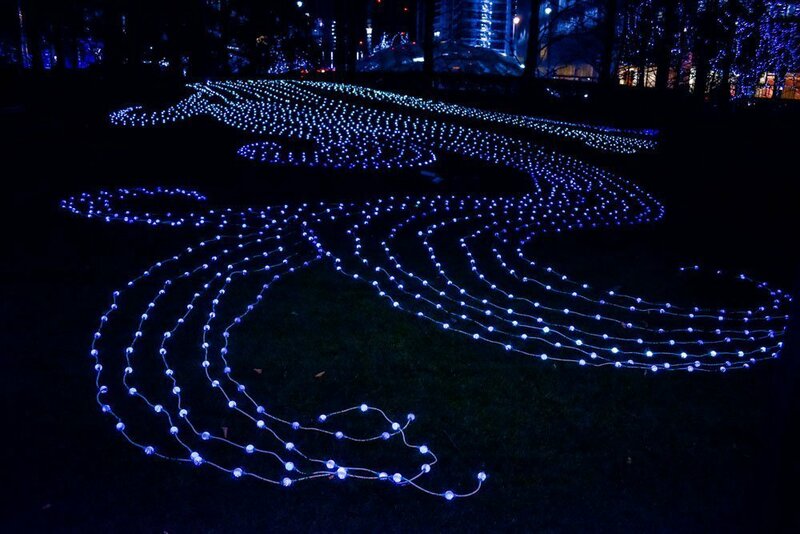 ‘Flow,’ at Jubilee Park a giant shape of flowing coloured lights sprawled on a lawn of grass. The colours fled through the shape in a rapid motion. It reminded me of what the commercial side of Canary Wharf would look like during busy rush hours. Workers rapidly moving, on foot, in various directions from A to B. 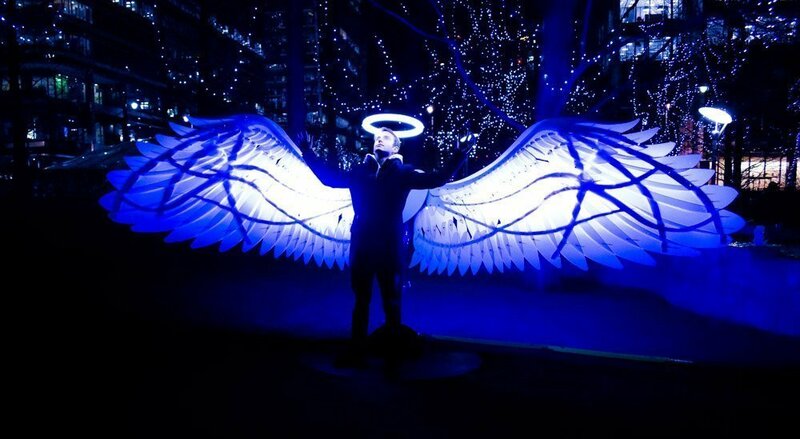 Last but not least the heavenly ‘Angels of Freedom’, angel wings with a halo of light above. The wings joined together by a heart shape. Individuals had their photo taken standing in-between the wings. Only one guy posed with his face upturned towards the halo, while I was there. This of course was the perfect image with the light beaming on, in his case, angelic face. Angels of Freedom’s lights changed from one beautiful soft coloured tone to another. There was a lovely atmosphere at the free festival. The selection of artwork, the twinkling lights, the reflections from the water in the docks and the impressive architecture all around came together to make a perfect evening out. I especially enjoyed the unique opportunity to challenge my photography skills. 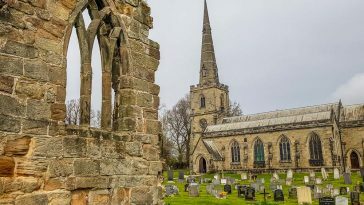 If you don’t make it to the festival I hope you enjoy seeing the selection of photos, of it, I have included in this article. You can download a map numbering each of the twenty-one installations at the festival and who produced them at canarywharf. 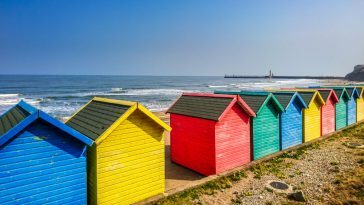 If you plan on attending it would be best to download the map in advance so you can work out where everything is along the route before you get there.